What are the duties of a Medical Assistant? What is a Medical Assistant allowed to do? 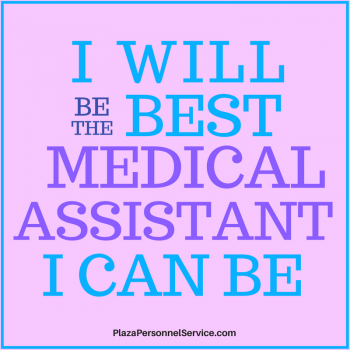 Medical Assistants work in Doctor offices, Medical Clinics and Hospitals. They help the Doctors and other providers with patient care. Duties are both clinical and administrative in nature. Most Medical Assistants will have completed training and have a certificate from a private school or public school or program providing Medical Assistant training. Further a Medical Assistant can take a State of California certification or a national certification; although this not required in most cases. Do you have questions about the scope of duties and responsibilities of a Medical Assistant. Or questions about what a Medical Assistant is allowed to do in a medical office? The state of California Medical Board can answer these questions for you. You can ask a specific questions and / or you can take a look at a list of frequently Asked Questions (FAQ's) to get the answers you are looking for. The scope of a Medical Assistant, what a Medical Assistant is allowed to do is different in differant states. The information provided is the the scope of duties for a Medical Assistant in California.